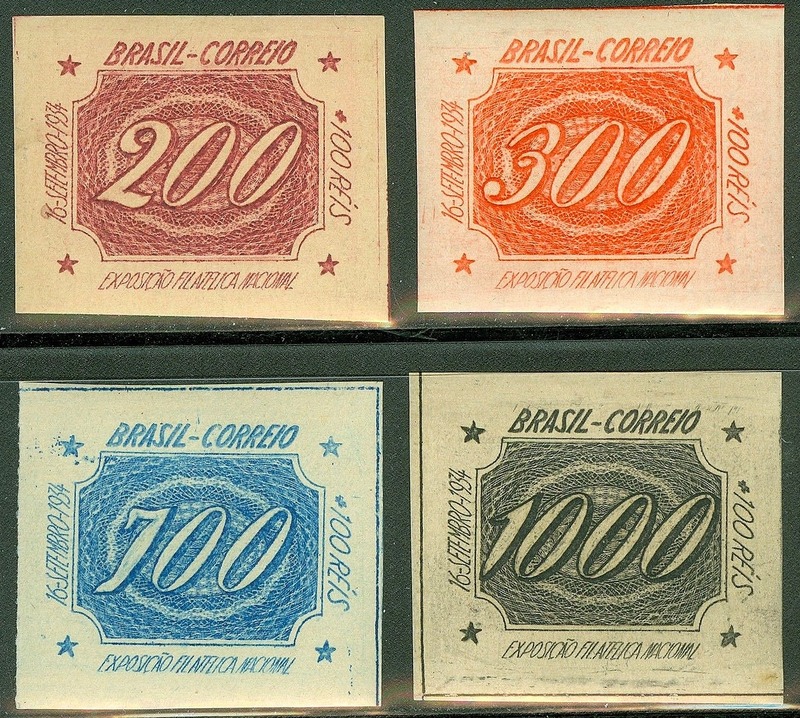 In 1934, Brazil issued a set of semi-postals for the National Philatelic Exposition (Scott #B1-4). 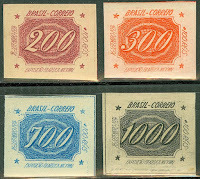 Each stamp within the set sold for 100 reis over its face value, and the surtax helped defray the expenses of the exhibition. 50,040 sets were issued, and Scott '14 prices the unused set at $18.50 . As the stamps picture the designs of the "small bull's eye" issue of ninety years earlier, they have additional appeal as "Stamp on Stamp" topicals. Great Britain issued stamps for use by its military and other personnel stationed overseas, and many of these stamps are quite scarce. 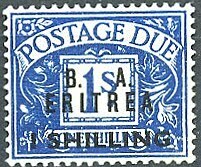 In 1948, the British issued a set of five postage due stamps for use by its forces in Eritrea, by surcharging its regular postage due stamps (Scott #J1-5). 22,264 sets were issued, and Scott '14 prices the unused set at $65.00 . 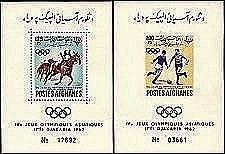 The set has potential dual market appeal among collectors of Great Britain/Commonwealth and Eritrea. As a boring postage due issue, it remains overlooked, for now. Those interested in joining a community of Stamp Auction bidders and consignors may wish to join the Stamp Auction Bidders' and Consignors' Union (SABACU) group at Facebook. The organization provides a venue for discussion of stamp auctions, and endeavors to represent the interests of bidders and consignors. 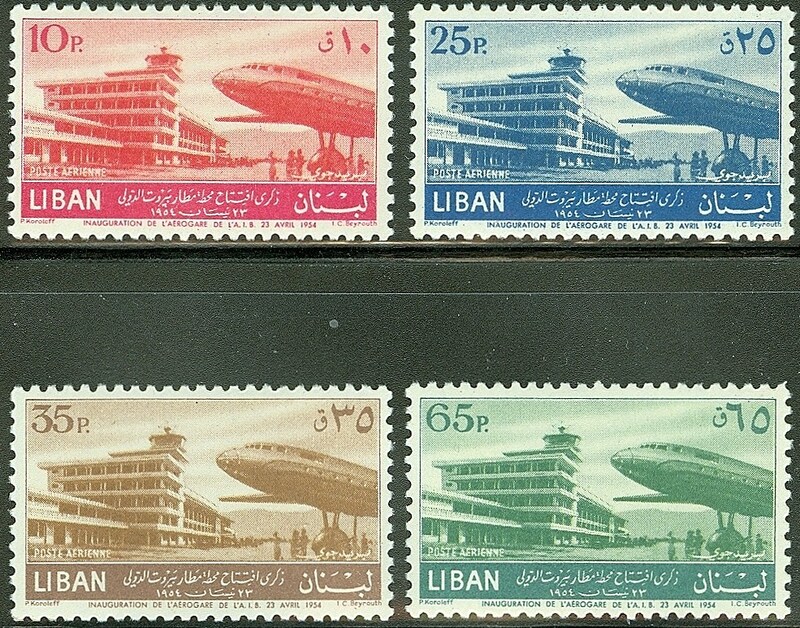 In 1954, Lebanon issued a set of four airmail stamps celebrating the opening of Khalde International Airport in Beirut (Scott #C193-96). 15,000 sets were issued, and Scott '14 prices the unused set at $14.50 . It is likely that most of the sets were used as postage and discarded. The set has multiple market appeal among collectors of Lebanon, French Colonies/Area, and Transportation topicals. 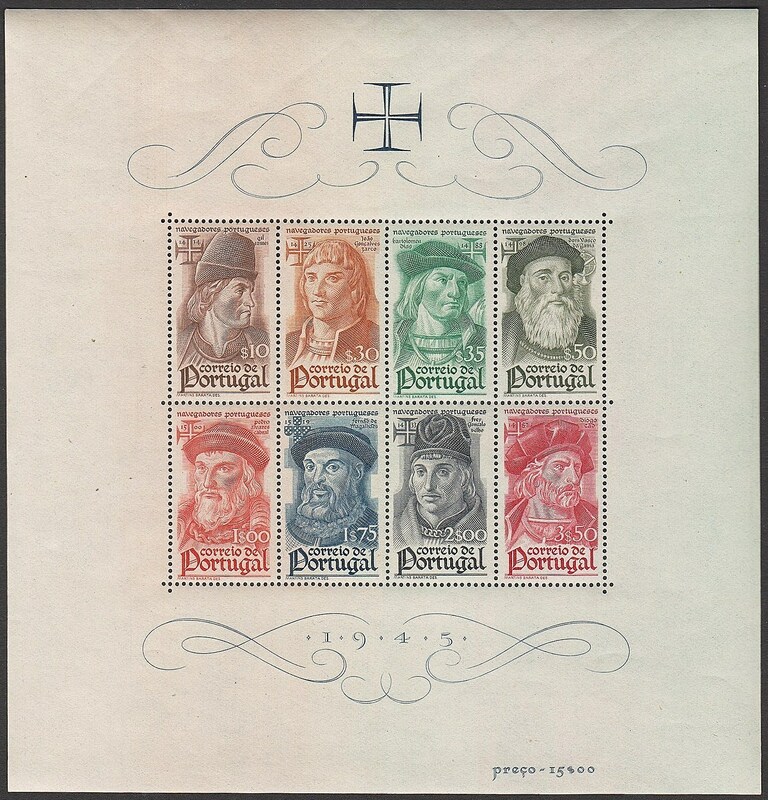 From 1949-50, San Marino issued a set of sixteen stamps picturing view of the tiny republic (Scott #278-93). 20,338 sets were issued, and Scott '14 prices the unused set at $262.70 ($525.00 for NH) . 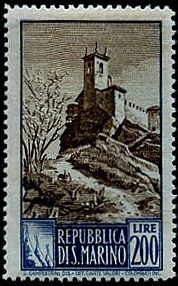 Despite the fact that stamps of San Marino are mainly sold to collectors to generate income for the country, it is likely that quite a few of the Views sets were used as postage and discarded. The high values were pricey for collectors of the time, especially given the state of the Italian economy in the early Post-War years. 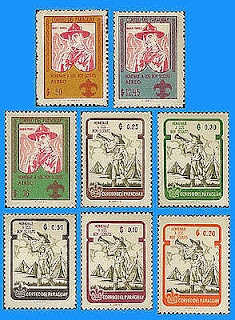 In 1962, Paraguay issued a set of eights stamps honoring the Boy Scouts (Scott #638-45). 5,000 sets were issued, and Scott '14 prices the unused set at $7.75. This attractive set has dual market appeal among collectors of Paraguay and Boy Scout topicals. Worldwide membership of the Boy Scouts is estimated at 25 million, and Scouting topicals are extremely popular internationally. There is even a organization dedicated to promoting the collecting of stamps honoring Scouting - the Scouts on Stamps Society International (S.O.S.S.I.). The main drawback to investing in certain Paraguayan issues from the '60s and later is that of questionable legitimacy. Quite a few were issued solely to milk collectors and never saw any postal use. The Scott Catalog does not list the most egregious issues, but does list many which fall into a gray area, including this set. It is inexpensive because Scott notes its "questionable status." Nevertheless, the combination of low issuance quantity, low catalog value, and topical appeal make the set a low-risk speculation. "The Stamp Specialist" blog features my buy prices for stamps which I am interested in purchasing. I've posted a buy list for Paraguay. Viewing dealers' buy lists every now and then is an excellent way to keep current on the vagaries of the stamp market. In earlier "Practical Advice" articles, I offered some tips for those interested in consigning or bidding at stamp auctions. This article shall consider a few of the unethical practices employed by some auctioneers, and how to avoid being victimized. Whether one bids at or consigns to stamp auctions, it's important to realize that not all stamp auctioneers are completely honest or trustworthy, and that many fall somewhere between the extremes of saintliness and criminality. 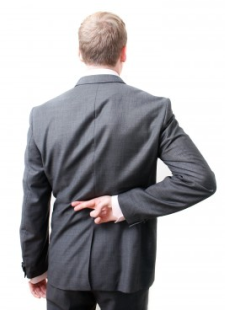 There do exist a few who cheat bidders and consignors, betray their trust, and hurt the hobby. Fortunately, completely unscrupulous auctioneers are rare. However, there are practices utilized by some auctioneers which are unfair to their customers. Bidders can often avoid "misunderstandings" resulting from such practices by carefully reading the fine print of an auctioneer's conditions of sale before bidding, and if necessary, requesting that his bids be accepted on condition of amending particular terms. A consignor should never fully trust an auctioneer until he's built a relationship with him, or has taken precautions to avoid being cheated. - Overgrading: many auctioneers and mail sale dealers are rather "liberal" when it comes to grading, ignoring minor defects which nevertheless have a major effect on market value. In addition, some of these individuals make a practice of delaying refunds on returned lots (sometimes for months), or refunding the cost of the lots minus shipping and handling. Grossly mis-describing lots is a disservice to bidders, and in my opinion, the best way to avoid inconvenient and infuriating situations is by providing the auctioneer with references, and then bidding conditional on "inspection prior to payment - net in 10 days of receipt" terms on won lots. Grossly mis-described lots should be returned without payment for shipping, and should an auctioneer send some lots which are purchased by the bidder while others are grossly mis-described and returned, the "round-trip" costs for shipping these lots should be deducted from the payment for those kept. - Excessive shipping and handling costs that are way over the cost of postage: this is usually trivial enough to be considered more of an insult rather than an injury, and is sometimes noted in the conditions of sale as a minimum shipping cost. However, sometimes the conditions of sale are rather vague about such costs and do not provide any guidance regarding amounts that will be charged, and auctioneers will attempt to use this vagueness as a license to bilk their customers. Once, an auctioneer tried to charge me $25.00 as the combined shipping, handling, and administrative cost on a $140.00 single stamp lot, which could have been sent to me via insured mail for about $5.00. Auctioneers sometimes justify such practices as means of charging successful bidders for the cost of producing the auction catalogs, which are often provided for free. This seems rather odd to me, since one would think that auctioneers would consider successful bidders among their best customers and would encourage them to bid in the future, rather than penalizing them for the costs of providing catalogs to those who did not bid, or who bid too little to win anything. In any case, shipping and handling costs should be clearly noted by the auctioneer, and factored into the bidding. - Inadequate time allowed for an extension of the return privilege for purposes of obtaining expertization: despite the fact that expertization can sometimes take 6 months or more, there are some auctioneers who allow only 4-6 weeks. A possible reason for this term is that it allows the auctioneer to bilk bidders who neglect to read the conditions of sale by selling them fakes and forgeries as authentic stamps. If bidding in an auction with such terms, either request an amendment so as to allow for sufficient time for expertization, or else avoid bidding on lots which might require it. - Disallowing returns on lots containing over a certain number of stamps: this is normal and acceptable when it comes to collections, but can prove problematic for sets of stamps. 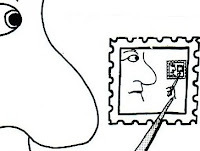 Should a bidder receive a set of stamps described as sound when one or more of the stamps is grossly defective, then he should be allowed to return the set. An auctioneer who uses such a condition to sell defective stamps as sound ones is basically attempting to implement an unconscionable contract. - Purging bidders who return stamps from mailing lists: this strategy has been used by certain mail bid sales and auctions. Bidders who return mis-described stamps are sent refunds, and then are purged from the mailing list, and receive no more catalogs. Ultimately, the auctioneer builds an extremely valuable mailing list of "suckers"- collectors who reliably overbid on overgraded, defective stamps, and never return them. - "In-bidding", or secretly raising the second highest bid at auctions in which the winning bid is supposed to be one advance over the second highest bid. This is usually impossible to prove, and frequently an auctioneer who does this will attempt to lessen suspicion by not raising the second highest bid on every lot won by a bidder. There is really no means of preventing being cheated in this way; therefore one should never bid more than one is willing to pay for a lot. - Allowing buyers to beat a winning auction bid for several days after the close of the auction: I've been informed that at least one mail bid auction engages in this practice. Obviously it would be unthinkable at a public stamp auction, and one wonders why anyone would want to bid at all if winning bids simply become increased reserves for buyers to beat after the auction is over. - Collections or accumulations returned to the consignor after having had some of the most valuable stamps within them stolen: this is usually due to theft by prospective bidders inspecting the collections, although it is sometimes unclear whether the theft was committed by such individuals or by the auctioneer or one of his employees. Since stamps are small, it isn't very difficult for a thief inspecting a collection before an auction to drop a few into his case when the attendant isn't looking. When submitting collection lots, it's prudent to note the most expensive stamps within them in the description, and even to photocopy them and provide a copy to the auctioneer, so as to provide evidence justifying a reimbursement, should a theft occur. Inadequate security can result in dishonest customers either blatantly stealing items from consignments, or employing other larcenous tactics, such as hiding valuable stamps within an accumulation among common ones, so that the accumulation may be won for a low bid. - Inadequate insurance of consignments, coupled with a refusal by the auctioneer to take responsibility for resulting losses: this can be a very costly lesson. If an auctioneer is unaware of his private insurer's policies or has a claim denied through no fault of the consignor, then he is still obligated to take financial responsibility for the loss, rather than passing it on to the consignor. In order to avoid such situations from arising, it's best for consignors not to put too much faith in verbal agreements regarding insurance made with a stamp auctioneer, even if he seems generally honest. Insist on having all such agreements in writing. - Changes in management resulting in changes in business practices and relationships to customers; it is always worth remembering that companies consist of human beings, and that trust should always be earned. A change in the management at a stamp auction firm can result in the quality of service improving, declining, or staying the same, if the new management faithfully carries on the traditions of the previous owners. At worst, it can result in a radical degradation of its business ethics and treatment of its customers. It's best not to assume that a firm will remain the same if its management changes. Ideally, there should be sufficient mutual trust between the customer and the auctioneer and a fundamental understanding that each will take responsibility for his mistakes (or, in the case of the auctioneer, those of his employees), and pay for them if costs are incurred. 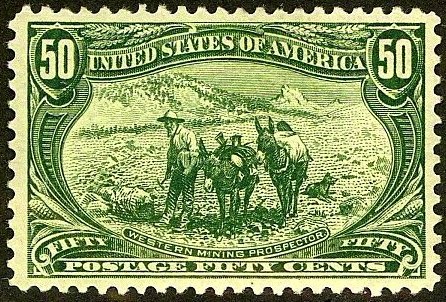 In the U.S., there has been a trend towards consolidation in the stamp auction business, resulting in a dramatic increase in the combined commissions (the seller's commission plus buyer's commission) that stamp auctioneers charge. These have risen from about 20% a decade or two ago to the current outrageous levels of 25%-30%, with little or no real improvement in the quality of service. In fact, most auctioneers have significantly increased the required minimum lot values and minimum consignment values, thereby making their services less accessible to mid-level consignors. Some of them justify the increased commissions and increased lot and consignment minimums by arguing that their costs have increased, but I believe that the main reason is that the stamp auction business has become more of an oligopoly than it once was. There is a crying need for an auctioneer who offers reasonable commissions and better terms to for those with mid- and high level consignments, and should such an auction house be established, it would not only do very well, but might also result in others lowering their commissions in order to compete. I have recently started a petition against excessive stamp auction commissions, which I encourage readers to copy and circulate. It gives the signer the option of indicating the maximum commission level that he or she will tolerate as a consignor, and includes an address to which to send completed petitions. When a sufficient number of people have signed the petition, copies will be sent to the American Philatelic Society and the American Stamp Dealer's Association. Until such needed reforms are implemented, there are other less expensive means of selling stamps. Ebay's stamp auctions have a far larger audience than that of any stamp auctioneer, and Ebay waives the insertion fees on the first 50 unsold lots per month. The total commissions on items sold amounts to less than 15%, even after combining the insertion fee, final value fee, and Paypal fee. Members of the American Philatelic Society's can use its online StampStore, by sending in stamps mounted on pages, with brief descriptions of the stamps, catalog values, etc.. The member sets the price, and if sold, the A.P.S. charges a 20% seller's commission. This is a recent innovation, similar to the organization's Mail Sale Circuit books, which have no online component and which provide a convenient means of selling inexpensive stamps. With both Ebay and the A.P.S. StampStore, the seller sets the minimum bid or price, and in both cases, reserves can be lowered online, via re-listing lots on Ebay and by changing the price online with StampStore. I have no information on whether any of unethical practices described above are utilized by stamp auctioneers in other countries, so I encourage readers outside of the U.S. to express their views on this in the Comments section. Also, if any reader wishes to inform me of other tricks that some auctioneers play on their customers, I'll consider adding the description of it to this article. 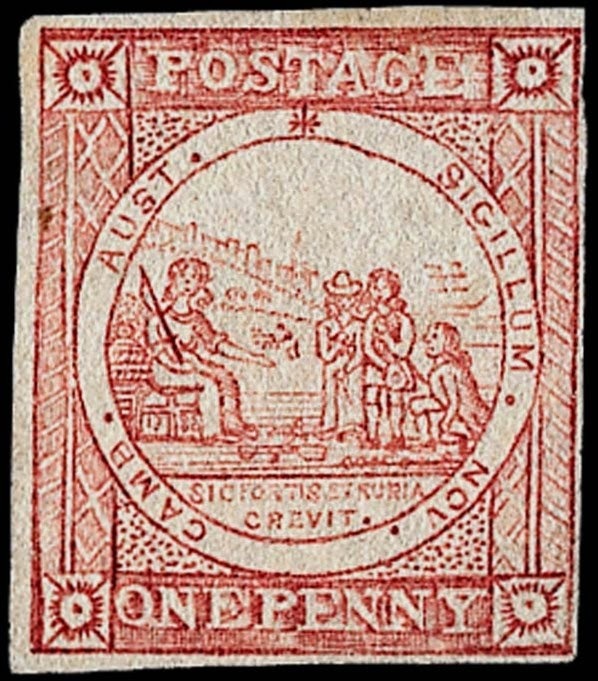 The first stamps of Australia were issued by the various British colonies within, also known as the Australian States. The designs of the earliest stamps of these colonies were very crude. Nevertheless, the stamps are very popular among collectors in Australia. New South Wales issued its first stamps from 1850 to '51 (Scott #1-9). These bore a rather juvenile drawing of the Colony's Seal, and were printed using five different plates and on different types of paper. Consequently, they are of interest to specialists. Quantities issued for the basic stamps range from 28,000 to 90,000, and while unused examples are extremely scarce and catalog in the thousands of dollars, used copies are far more affordable, mostly cataloging in the hundreds. I recommend purchase of these stamps in F-VF or better, used condition. They represent a conservative investment in the economic growth of Australia. Australia is a prosperous nation of 22 million people and a diverse economy, with thriving service, agricultural, and mining sectors. Annual GDP growth has averaged 3.6% over the past 15 years. Recently, there has been considerable growth in mining and petroleum extraction, in part due to increased exports to the resource-hungry Chinese market. It is likely that Australia's stamp collecting population will grow significantly as the nation ages. The percentage of Australians over 60 is projected to rise from 16% in 2000 to 24.8% in 2025, and 28.2% in 2050. #367-69). Lincoln is portrayed in a sad or reflective mood, which is appropriate given the tragic events which darkened his presidency. The issuance quantities for these stamps were approximately 148 million, 1.274 million, and 637,000, respectively. I've always felt that #369 should be described as having grayish rather than bluish paper, but if one squints while looking at the stamp, its "bluishness" is barely discernible. Lincoln may have been America's greatest president, and this issue certainly qualifies as a Famous Men/Women topical (the second most popular topical category, after Animals). As these stamps were issued in panes of 100, with one plate block of 6 per pane, the approximate number of plate blocks issued was 1.48 million (Sc.#367), 12,740 (Sc. #368), and 6,370 (Sc.#369) and the Scott '15 Catalog values for these are $275.- for NH, $390.- for NH, and $4,250.- for NH, respectively. Obviously, a far greater proportion of #367 were used as postage than of the other stamps. 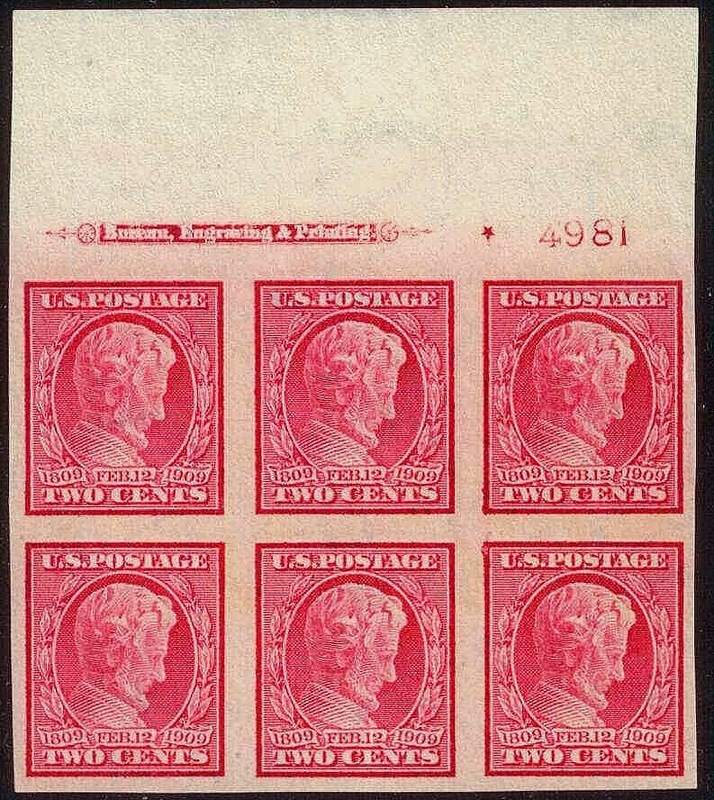 Nevertheless, I consider #368 plate blocks to be the best investment of the three, especially if purchased in VF NH condition and with none of the annoying gum bends that are commonly found on this and the other 1909 imperforates. I recommend purchase of the imperforate plate block in F-VF+ NH condition, as opposed to purchasing it hinged due to the complexities involved in grading the gum of a hinged plate block based on the degree of hinging. 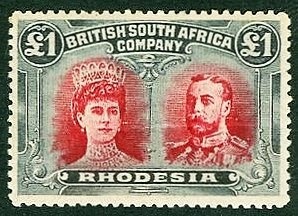 I'm initiating coverage of Rhodesia with an issue which is popular among British Commonwealth collectors, the 1910 Queen Mary and King George set (Scott #101-18). 9,550 sets were issued, and Scott '14 prices it unused at $4,640.- . I expect that this set will prove a conservative investment based upon the steady growth of demand for better British Commonwealth stamps. I do not think that there will be much demand from collectors in the Republic of Zimbabwe, as its economy and near-term prospects for the development of a middle class there have been set back by the three decade dictatorship of Robert Mugabe, who celebrated his 90th birthday in February. A nation of about 13 million people, Zimbabwe is rich in gold, platinum, and diamonds, and also benefits from agricultural exports and tourism. Unfortunately, until recently, much of the revenues wound up in the hands of President Mugabe and his cronies. In 2008, a new president, Morgan Tsvangirai, was elected, and a power-sharing deal between he and Mugabe was negotiated. Donor nations have adopted a 'wait-and-see' attitude, wanting to see real change being brought about by this merger before committing themselves to funding rebuilding efforts, which are estimated to take at least five years.Annual GDP growth has been slightly negative over the last five years, but has begun to recover. In 1956, Panama issued a set of twelves stamps picturing various popes (Scott #403Note). The quantity issued is not known; however, I would guess that no more than a few thousand sets were issued. Scott '14 prices the unused set at $100.- . 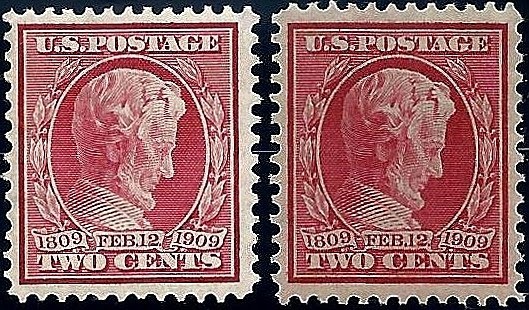 The set was not intended to be used as postage, and consequently Scott notes it but does not assign it a catalog number. Despite this, it has obvious appeal as a Religion topical. A nation of 3.4 million people, Panama is the fastest growing economy and the largest consumer per capita in Central America. Panama's economy, because of its key geographic location, is mainly based on a well developed service sector heavily weighted towards banking, commerce, tourism, trading. The handover of the Canal and military installations by the United States has given rise to large construction projects. Tourism has grown rapidly during the past 5 years due to the government offering tax and price discounts to foreign guests and retirees. The country also has valuable copper and gold deposits, which are beginning to be developed. Annual GDP growth has averaged over 7% over the last 5 years. In 1994, Greenland issued a semi-postal souvenir sheet celebrating the Winter Olympics, held in Lillehammer (Scott #B19a). 80,088 were issued, and Scott '14 prices the unused sheet at $12.00. 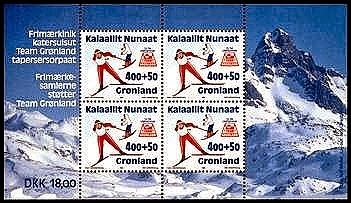 Stamps of Greenland are popular among collectors of Scandinavian stamps, and this souvenir sheets also has worldwide appeal as a Sports/Olympics topical. In 2008, the people of Greenland passed a referendum supporting greater autonomy, and it is likely that it will achieve independence from Denmark and become a sovereign state within the next 20 years. It is among the northerly parts of the world that is actually benefiting from global warming, because extensive mineral wealth is being revealed as its ice sheet recedes. In 1972, Thailand issued a souvenir sheet featuring national costumes of Thai women (Scott #632a). 50,000 were issued, and Scott '14 prices the unused sheet at $47.40. The sheet represents an inexpensive investment in the economic growth of Thailand. In 1962, Afghanistan issued a set of stamps and pair of souvenir sheets honoring the 4th Asian Games (Scott #603Note). 3,000 of the souvenir sheets were issued, and Scott '14 prices them unused at $7.00 . The set has appeal as a Sports Topical. Despite the fact that Scott only notes the sheets rather than assigning a catalog number to them (thereby questioning their legitimacy), the low issuance quantity, thematic appeal, and price make them a very low-risk speculation. In 1949, Brazil issued a stamp and souvenir sheet (Scott #C76, C76a) in memory of President Franklin D. Roosevelt. The stamp is common, but only 30,000 of the souvenir sheet were issued, and Scott '14 prices it unused at $29.00. 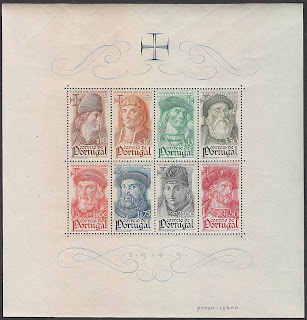 The souvenir sheet has obvious dual market appeal to collectors in Brazil and the U.S..
"The Stamp Specialist" blog features my buy prices for stamps which I am interested in purchasing. I've posted a buy list for Brazil, including the set recommended in this article. Viewing dealers' buy lists every now and then is an excellent way to keep current on the vagaries of the stamp market. 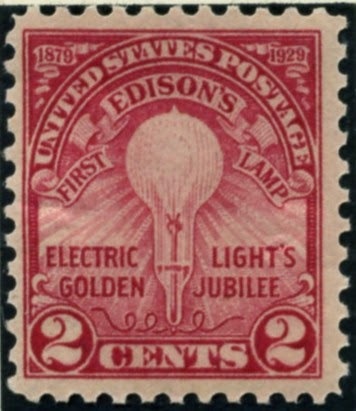 In 1929, the United States issued a stamp celebrating the Golden Jubilee of the invention of the electric light bulb. 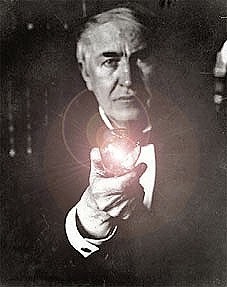 The stamp was issued in three different formats (Scott #654-56), and was meant to honor the inventor Thomas Alva Edison. 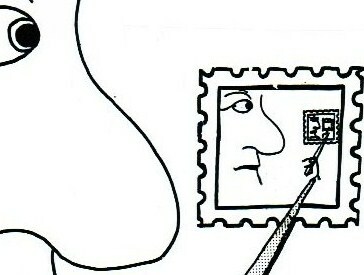 Actually portraying him was forbidden, since the law prohibited placing a living person's face on a U.S. postage stamp. only about 316,000 plate blocks of #654 were issued. I think it likely that at least 90% -95% of these were broken up and used as postage, leaving between about 16,000 and 32,000 plate blocks remaining. Scott '15 prices the unused, Never Hinged plate block at $42.50, and I recommend purchase of it in that condition. Avoid plate blocks with poor centering, or those for which the selvedge has been trimmed. This issue holds great appeal and is of historical significance, as Thomas Edison is generally considered America's greatest inventor thus far. 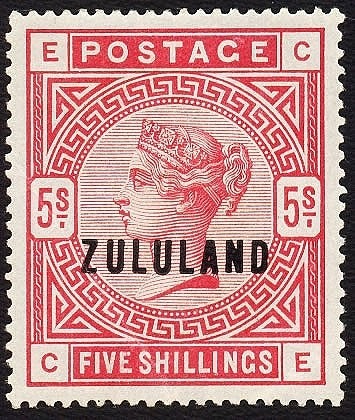 Zululand, a British colony, issued 24 stamps between 1888-1896, and all are worthy of consideration as investments. In 1897, Zululand was annexed to Natal, which in turn was integrated into the Union of South Africa in 1910. In 1892, the Colony issued a 5 shilling stamp (Scott #11) by overprinting 998 of Great Britain's 1884 5 shilling Victoria stamp (Scott #108). Obtaining expertization for Zululand #11 unused is not necessary because GB #108 is actually more expensive, despite being far more common. Scott '14 prices Zululand #11 at $700.- for unused. 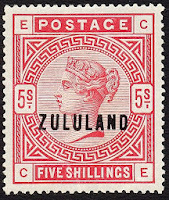 The main sources of demand for stamps of Zululand are British Commonwealth collectors and collectors of South Africa, both of which I view as growing markets. A recent Price Waterhouse report projects that South Africa will be one of the world's fastest growing economies over the next 40 years. 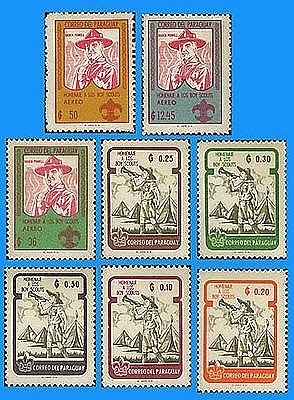 In 1947, Costa Rica issued a set of six stamps picturing Christopher Columbus in Cariari (Scott #C148-53). 62,000 sets were issued, and Scott '14 prices the unused set at $4.55. The set is grossly undervalued, especially since there are many collectors of Latin America who focus on the region as a whole. With 4 1/2 million people, Costa Rica is unique as the only Latin American country to have escaped the plague of repressive dictatorships and oligarchies endemic to the region. Costa Rica has generally enjoyed greater peace and more consistent political stability than many of its fellow Latin American nations. The government offers generous tax exemptions to those investing in the country,and in recent times electronics, pharmaceuticals, financial outsourcing, software development, and eco-tourism have become the prime industries in Costa Rica's economy. High levels of education among its residents make the country an attractive investing location. Annual GDP growth has averaged 5.6% over the last 5 years. "The Stamp Specialist" blog features my buy prices for stamps which I am interested in purchasing. including Costa Rica. Viewing dealers' buy lists every now and then is an excellent way to keep current on the vagaries of the stamp market. In 1931, New Guinea issued its first airmail by applying a pictorial overprint to its1925-28 Native Huts issue (Scott #C1-13). A total of 4,020 sets were issued, and Scott '14 prices the unused set at $311.70. While it's often wise to purchase expensive overprinted stamps conditional on obtaining expertization, such caution is unnecessary because in this case the basic non-overprinted set is actually more expensive. 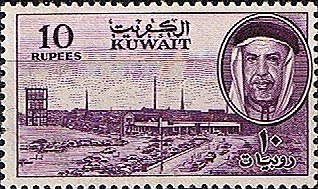 In 1959, Kuwait, then a British protectorate, issued an attractive engraved set of thirteen stamps with scenes related to its oil industry (Scott #140-52). 51,658 sets were issued, and Scott '14 prices an unused set at $ 54.45 . It is likely that most were used as postage and discarded. 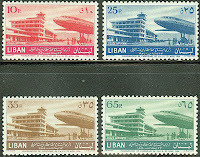 The set appeals to both collectors of Kuwait and British Commonwealth. 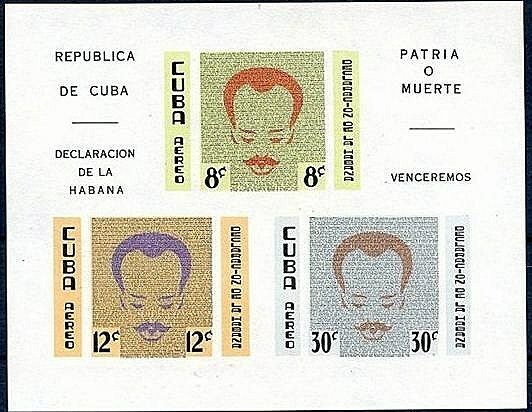 In 1961, Cuba issued a set and souvenir sheet portraying the Cuban revolutionary hero Jose Marti, and commemorating the Declaration of Havana (Scott #221a). 30,000 were issued, and Scott '14 prices the unused sheet at $15.00. This souvenir sheet should do very well when Cuba rejoins the crassly commercial, capitalist world, perhaps retaining a bit of a socialist safety net to keep the masses complacent. It will also benefit from the long-term stealth bull market in better Latin American sets, which began around twenty years ago after the region's oligarchical dictatorships went out of style. I believe it inevitable that Cuba will join the fold of more-or-less free nations, and that tourism and trade will explode as a result. Currently, the average wage of each of the 11 1/2 million people living in this "socialist utopia" is under $20 per month, and GDP per capita is 107th in the world. Annual GDP growth has been high, averaging 4.5% over the last 5 years, but given the levels of corruption and favoritism shown to high ranking Communist Party members, it's an open question whether much of that new wealth has been filtering downward. Eventually, something will have to give. The current market for Cuban stamps, especially of the Pre-Castro Period, is bolstered by interest of stamp collectors within Cuban-American community, currently about 1.6 million strong, and far wealthier than their compatriots on the island. Interest in Cuban stamps is likely to increase, especially given the likely prospect of a replacement of the stale, "gerontocratic" regime within a decade or so. 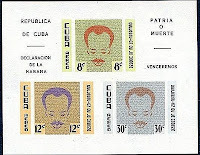 The Stamp Specialist features my buy lists for stamps which I wish to purchase, including some Cuban stamps. Periodically viewing dealers' buy lists is an excellent way to remained informed about the state of the stamp market. 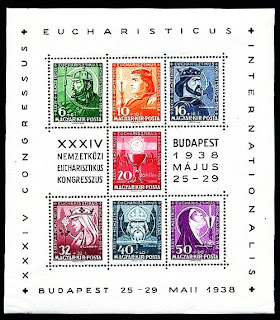 In 1938, Hungary issued a semi-postal souvenir sheet honoring the Eucharistic Congress, which was held that year in Budapest (Scott #B94). 100,000 were issued, and Scott '14 prices the unused souvenir sheet at $50.00. 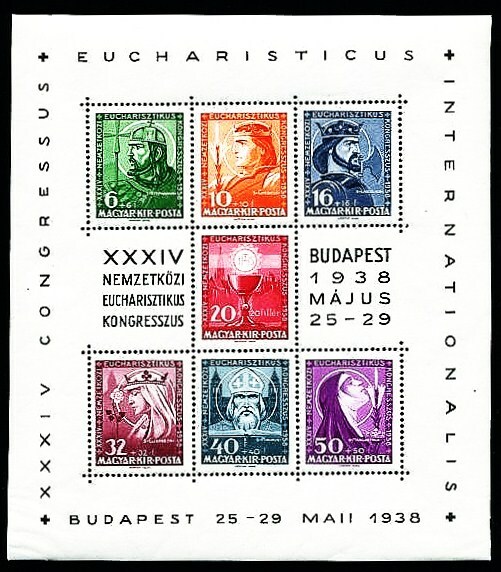 The souvenir sheet has obvious appeal as a Religion/Christianity topical, and should also profit from Hungary's future economic growth.